Law Office of Steven P. Taylor, P.C. Commonly, in consumer bankruptcy cases, Debtors have attempt resolve their financial issues by raiding their retirement accounts. For those debtors that are younger than 59 ½ years of age, this leads to the 10% additional tax (an “exaction”) of the withdrawn amount as part of their current tax bill in addition to the normal income tax. Bankruptcy may be an appropriate method to deal with tax debt and other times it’s not-and something like the Offer in Compromise program may be a much better option than bankruptcy tax relief. In the bankruptcy world, whether the Internal Revenue Service has assessed a “tax” or “tax penalty” has different implications. The priority scheme treats income taxes and tax penalty claims differently. Income taxes that a debtor owes to the government are entitled to eighth priority distribution under § 507 of the Bankruptcy Code which are not dischargeable. In contrast, tax penalties that do not compensate for the government’s actual pecuniary loss are subordinated to general unsecured claims and are dischargeable in a Chapter 13 bankruptcy. In a Chapter 13 bankruptcy (§523(a)(7) does not apply) there is a Tenth Circuit opinion, In Re Cassidy 983 F.2d 161 (10th Cir. 1992), where the Court rejected contentions that the 10% amount was entitled to §507(a)(8) priority status either as income tax or a penalty in compensation for actual pecuniary loss. See also In Re Cespedes, 393 B.R. 403 (Bankr. E.D.N.C. 2008). Unfortunately, in a Chapter 7 bankruptcy, the exaction not entitled to priority status under §507(a)(8), but will not be dischargeable under §523(a)(7). In Re Mournier, 232 B.R. 186 (Bankr. S.D. Cal. 1998). Recently, the Court, Bradford v. United States Department of Treasury – IRS, 14-11805, a case from the United States Bankruptcy Court, Middle District of Georgia, Albany Division, looked at the dischargeability of this 10% exaction again. In this Chapter 13 bankruptcy case, the Internal Revenue Service asserted a priority status for the 10% due to early withdrawal of the Debtors from a retirement account under 11 U.S.C. §507(a)(8), either as an income tax (§507(a)(8)(A) or, alternatively as a penalty compensating the government for actual pecuniary loss (§507(a)(8)(G)). The Debtors contended that the 10% exaction was a penalty and that the penalty was not in compensation for actual pecuniary loss and thus not entitled to priority. The parties agreed that if the 10% penalty did not fit into a subcategory of §507(a)(8), it was not entitled to priority treatment under the Debtors’ plan. The Court, in a 36 page opinion, found that the classification by Congress of the 10% exaction as a “tax” was not determinative based upon Supreme Court precedent. The Court, following a functional analysis, found the 10% exaction was a penalty for purposes of §507(a). Furthermore, the Court found that the penalty was not to compensate the government for actual pecuniary loss and was not entitled to priority status. The interaction between bankruptcy and tax laws can be extremely complicated. In some cases, simply waiting to file your bankruptcy can turn a priority tax debt into a nonpriority obligation. For these reasons, if you want to file for bankruptcy to eliminate or reorganize your tax debts, consider talking to a knowledgeable bankruptcy attorney in your area first to learn about your options. Student loans have become one of the largest components of debt in American society. The economic significance of the issue is reflected by the enormous amount of student loan debt relative to the overall debt structure of our economy. Student loan debt is $1.2 trillion and is second only to mortgage debt which stands at $8.17 trillion. Credit card debt stands at $0.9 trillion. This size is a major problem that the bankruptcy system must address to effectuate its policy goals of fresh start (Chapter 7 bankruptcy) and rehabilitation (Chapter 13 bankruptcy). The researchers at the St. Louis Federal Research determined that, as of Jan. 1, more than half of student-loan debt–55%– was held by borrowers who were in repayment, or roughly $660 billion. Of that amount, nearly $200 million are in income based repayment programs. Even so, recent research shows that nearly 1 in 3 people whose student loans are in repayment status are at least one payment behind on their payments according to the Federal Reserve Bank of St. Louis which is substantially higher than those for other forms of consumer credit, including credit cards, mortgages and auto loans. For example, 8.5% of all auto loans were at least 30 days delinquent in the year through last September. This situation is a frightening from two aspects. First, the above statistic does not account for the (typically unemployed) college borrowers who are not even required to make payments until six months after they leave. Secondly, it does not include former students that are out of school, past that grace period, and have received permission by their lender to suspend payments for a range of reasons, like unemployment. There remains $540 million of debt to be repaid based upon no work history and speculative prospects. (3) that the debtor has made good faith efforts to repay the loans. The Seventh Circuit over the past three (3) years has had some decisions which have added texture to the implementation of the Brunner test which is instructional to the practitioner. My takeaway from these cases is below. Krieger v. Educational Credit Management Corp., 713 F.3d 882 (7th Cir. 2013) This case is notable for two reasons. First, it stated that the 2nd and 3rd prongs of the Brunner tests are either a mixed question of law and fact or clearly factual. In either case, the standard of review of the bankruptcy court’s ruling should upheld unless clearly erroneous. Second, the Seventh Circuit’s reviewed the standards that the District Court applied to Brunner test and found that the District Court’s assertion that as a proposition of law that a failure to use an available federal student loan repayment plan means the debtor fails the good faith element of the Brunner test was wrong. Greene vs. U.S. Department of Education, 770 F.3d 667 (7th Cir 2014). Although not really on point as to the Brunner test, in dicta, the Seventh Circuit opined that the amount of student loan debt owed is a different issue from whether making him pay what he owed would impose an undue hardship. The size of the debt is relevant—the larger it is, the more likely that imposing full liability on the debtor will produce an undue hardship—but calculating the debt involves a different factual inquiry from whether the debt so calculated is crushing. Tetzlaff v. Educational Credit Management Corporation, No. 14-3702 (7th Cir. 2015). This case is notable in that it reiterates Krieger ‘s deference to the bankruptcy court judge’s findings of fact as to the 2nd and 3rd prongs of the Brunner test. It also in reviewing the bankruptcy court’s findings of facts noted that payment on one student loan debt did not show good faith with respect a different student loan debt, at least if they were not joined in the same adversary proceeding. The Court noted that a debtor’s good faith efforts to repay his student loans are measured by his ability to obtain employment, maximize income, and minimize expenses. What does this all mean? It means that it exceedingly important to present your case properly to the bankruptcy court judge at the outset. The factual findings are going to control and only clearly erroneous factual decisions will be reversed. In Tetzlaff, the Plaintiff had two expert witnesses excluded due to late disclosure. In addition, the dicta in the Greene case may indicate that the Seventh Circuit is open to a partial discharge to the extent that remaining liability would not impose an undue hardship. If you have student loan debt problems or are considering filing bankruptcy to tackle your student loan debt, make sure you have a bankruptcy attorney review your options. For more information about this and other bankruptcy law issues, please contact me by email or call at 317-271-1111. Bankruptcy Rule 3002(c) requires creditors to file proofs of claim within 90 days of the date set for the meeting of creditors. However, getting a timely filed proof of claim by a mortgage creditor has long been an exercise in frustration. This has been due to significant changes in the proof of claim form that creditors must file to support their claims in bankruptcy. Some of these changes are the explicit requirement that all writings supporting a claim or showing perfection of a security interest must be attached. In addition, the signer of the proof of claim must include a statement under the penalty of perjury that all of the information is “true and correct to the best of the signer’s knowledge, information, and reasonable belief.” The practical effect of these requirements is that creditors personally review all information and supporting documentation with greater scrutiny to avoid issues and liability. Bankruptcy courts have come to conflicting conclusions on whether Rule 3002(c)’s deadline applies to all creditors or merely unsecured ones. However, a recent Seventh Circuit decision has not only impact for creditor practice for proof of claim filings but debtor’s counsel. In re Pajian, No. 14-2052 (7th Cir. May 11, 2015). In re Pajian involved the debtor’s objection to a proof of claim filed by his secured creditor more than 90 days after the meeting of creditors. The bankruptcy court overruled the debtor’s objection as to the secured portion of the claim, concluding that a secured creditor seeking a distribution under a debtor’s plan need only file a proof of claim before the plan’s confirmation. The Seventh Circuit reversed that decision and concluded that all creditors are bound by the Rule 3002(c) deadline. It is blackletter law that a secured creditor’s failure to file a claim does not void its lien. This is codified in 11 U.S.C. §506(d)(2). The secured creditor’s failure to file a claim means that the creditor does not participate in the distribution from the bankruptcy estate. Only the Chapter 13 Trustee or the Debtor may file a timely proof of claim (for thirty days) after the secured creditor has failed to do so timely. The harm caused a financial loss. On the other side, very rarely does Debtor’s counsel have all of the supporting documents of the debt, evidence of the perfection or sometimes even the proper party to receive payments. Conceivably, debtor’s counsel may need order a title search and obtain missing documents to ensure that he can file a proof of claim with a “reasonable belief”. 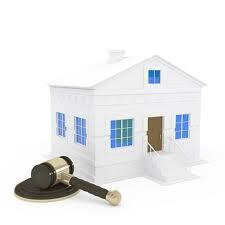 In addition, most attorneys are not well versed in the minutiae of escrow analysis or amortization tables. It is not likely that a Debtor’s proof of claim (in a mortgage context) is going to be somewhat accurate as to the ongoing payment if there is any kind of arrearage at all. Potentially, the failure to provide accurate information could lead to sanctions from the court. The penalty for filing a fraudulent claim is a fine of up to $500,000 or imprisonment for up to 5 years, or both. For those bankruptcy practitioners that also file Fair Debt Collection Practice Act claims, the general practice for the Chapter 13 bankruptcy practitioners is to review proof of claims at some point past the claims bar date and then object to proofs of claims for debt that is not enforceable under state law. Upon disallowance pursuant to the statute of limitations, the practitioner would schedule the FDCPA claim on schedule B, and cause a FDCPA case to be filed in District Court. Some pundits have stated that the filing of a proof of claim is itself not subject to the FDCPA. However, the Seventh Circuit’s approach examines whether the FDCPA claim raises a direct conflict with the Bankruptcy Code, or whether both the Bankruptcy Code and the FDCPA can be enforced against the debt collector. McMahon v. LVNV Funding, LLC, 744 F.3d 1010, 1020 (7th Cir.2014). This seems to be an uptrending authority. Recently the Sixth Circuit rule upon communications from debt collectors to debtors that offered to settle debt but omitted the fact the debt was unenforceable. Buchanan v. Northland Group, Inc., No. 13-2523 (6th Cir., Jan. 13, 2015). The court also noted that “[a] misrepresentation about the limitations period amounts to a ’straightforward’ violation of [the FDCPA],” citing the Seventh Circuit Court of Appeals decision in McMahon v. LVNV Funding, LLC, 744 F.3d 1010, 1020 (7th Cir.2014). Under § 1692e(5) of the FDCPA, a debt collector violates the FDCPA by threatening “to take any action that cannot legally be taken or that is not intended to be taken.” The presentment of a proof of claim for a stale dated debt in a bankruptcy or an offer of a settlement (without disclosure that the debt was not enforceable to mitigate an implied threat of litigation) of the same violates the FDCPA under the rationale of these cases. However, a parallel approach was recently suggested in the Bankruptcy Court for the Northern District of Indiana which dealt with stale dated claims under Rule 9011. In Re Sekema, 14-40145 (January 7, 2015). Like the practice above, the practitioner objected to the stale dated claims on the basis of being violative of the Indiana six year statute of limitations. The Court sustained the objection to the proofs of claim. However the court issued a Show Cause Order on its own initiative (“By filing that claim, it appears that [creditors] violated Rule 9011(b)(2) of the Federal Rules of Bankruptcy Procedure because the claim was not warranted by existing law or a non-frivolous argument for its extension and a reasonable pre-filing inquiry would have revealed that lack of merit. See In re Excello Press, Inc., 967 F.2d 1109, 1112-13 (7th Cir. 1992) (Rule 11 requires the filer to investigate any obvious affirmative defenses)”). After consideration, the Sekema court awarded sanctions of $1000 for no-showing a show-cause hearing to explain why filing a time-barred claim did not violate Rule 9011. The sanctions were set using an express reference to the Fair Debt Collection Practices Act. This time of year I will get a large amount of calls from my bankruptcy clients regarding 1099s and wanting to know if they will owe taxes as a result. The answer is probably not, but maybe. Generally, you can potentially receive either a 1099-A or a 1099-C from a creditor after you receive a bankruptcy discharge. You should not receive a 1099-C, which is a cancellation of debt return. You should not, but you might anyway. What is a 1099-A: Relating to the acquisition of property by a lender, Form 1099-A DOES NOT mean you have cancellation of debt (“COD”) tax. Say the bank bid their judgment at the sheriff sale and became the owner of your house, either before or after filing a bankruptcy, you will receive a copy of a 1099-A. Form 1099-A is a form the mortgage company is required to file to show that they acquired your property. It’s what the IRS calls an informational return–it just gives information to the IRS. It tells the IRS the principal outstanding on the loan and the amount (presumptively the fair market value) for which the lender acquired the property back (in partial or whole satisfaction of the debt that was owed). Again, all it means is that the part or all of the debt has been satisfied with the acquisition of property. Then you will not owe any ordinary income tax liability. Last Note: My practice is limited to bankruptcy issues and the above information is general only (within my experience) and is not meant to constitute legal or tax advice appropriate for your situation. In addition, this information is subject to change and is not guaranteed accurate. Before you make a move with regard to these matters, visit the IRS website or contact your CPA for the latest 1099-C tax information and for help with your specific tax situation. One of the advantages of filing an Indiana bankruptcy under Chapter 13 is that an entirely unsecured second mortgage, or other junior mortgage, can be “stripped” from your homestead or other real estate. This mortgage is then treated by the Chapter 13 plan as an unsecured claim, the same as a credit card or other unsecured debt. Consequently, it only has to paid in part rather than being paid in full as for most mortgages. Upon the completion of the plan, the lender is required to release its lien interest against your property. In Indiana, “stripping” unsecured second mortgages cannot be done in Chapter 7 cases. The bankruptcy courts in Indiana allow this avoidance of the lien to occur by motion practice or by confirmation of the Chapter 13 Plan. Upon objection by the creditor, it is necessary to show that the real estate’s market value is less than the entire balance owed on the liens that have priority over the to be avoided secured lien interest. This means that in deciding whether to seek to strip off a second mortgage, an appraisal of your home may be necessary. Second mortgage lien stripping is allowed by bankruptcy code sections 506 and 1322(b). It requires committing to a three to five year Chapter 13 repayment plan, where the now-unsecured second mortgage is paid based upon your ability to repay it, the same as most of your other debts. If you are trying to restructure your debt to make sure you can afford to keep the necessities of life, it makes sense for you to obtain a free consulation at our offices to discuss your options. On January 7, 2014, the 7th Circuit court of appeals issued an opinion that is a fantastic boon for struggling real estate property owners that have not been able to pay their real estate property taxes timely and have had those delinquent real estate taxes sold at a tax sale. These sale are conducted by municipalities who, after waiting the time period required by state law, those unpaid property taxes up for auction (generally called the “tax sale”). In Indiana, it’s about 15 months before a “property goes to a tax sale.” The tax sale is bid competitively, meaning high bid wins. Unfortunately, Indiana has the reputation for being an excellent state for tax lien certificate sales for all of the wrong reasons. First, he interest rate on the bid that must be paid to redeem the property is high (as high as 25%) is high and the redemption period of 1 year is very short. Currently, under Indiana law, a tax lien purchaser in a tax sale gets a return on the investment in one ways: interest on the bid amount, or eventual ownership of the property. If property for which a tax lien purchaser bought a tax sale certificate is redeemed during the redemption period, the tax lien purchaser surrenders the tax sale certificate upon that redemption, tax lien purchaser will receive a refund equal to one hundred ten percent (110%) of the minimum bid for which the tract or real property was offered at the time of sale, if the tract or item of real property is redeemed not more than six (6) months after the date of sale; or one hundred fifteen percent (115%) of the minimum bid for which the tract or real property was offered at the time of sale, if the tract or item of real property is redeemed more than six (6) months but not more than one (1) year after the date of sale. In addition to the refund of the minimum bid plus the above stated interest thereon, in the case of a redemption, the tax lien purchaser, upon surrendering a tax sale certificate, will receive a refund of the amount by which the purchase price exceeds the minimum bid (called the overbid), if any, on the real property plus ten percent (10%) per annum on the overbid. I.C. §6-1.1-25-2 governs the amount required to redeem. Assume that an Indiana homeowner owed $500 in unpaid property taxes on a property that went to tax sale. A $5,000 offer is the winning bid at the auction. If the homeowner redeems his property the day before the one year redemption period expires, per Indiana law, the minimum, he’ll owe the tax lien purchaser is the initial $500, plus a 15 percent penalty, totaling $$565.00. He’ll also be required to pay 10 percent interest on the overbid ($4500.00), or $450. As the tax lien purchaser, you’ll get your capital investment of $5,000 back, plus $65.00 plus interest payment of $450.oo on the overbid for a total of $5,515.00. Generally, about three quarters (3/4) of real estate owners redeem their real property within a year. However, if an interested party fails to redeem the property, the winning bidder can petition the Court, upon the expiration of the redemption period, to have a tax deed issued as to the property. Once it’s complete, tax lien purchaser takes ownership. Typically, in Indiana, this accelerated and short redemption period is an extreme hardship on struggling Indiana homeowners that are attempting to save their home in these harsh times. In the above example, it would require a homeowner to save an additional $459.58 a month to be able to pay the redemption amount and save the residence at the minimum. To date, homeowners have had to hope that the mortgage company would come in and protect its lien. However, the mortgage company wants its money it paid out on the tax lien redemption and will declare an escrow shortage (because that is where the money came from) and require the homeowner to pay that escrow shortage over a twelve (12) month period. However, In Re Lamont, the Seventh Circuit changed the tax lien certificate landscape. The debtor in this Chapter 13 case filed a bankruptcy before the redemption period ended. The plan provided for payment of the delinquent taxes at zero (0) percent interest over the plan life. The tax lien purchaser (which was not listed originally on the schedules) became aware of the bankruptcy when the state court refused to issue a tax deed due to the bankruptcy. The tax lien purchaser asked the bankruptcy court to modify the stay to allow him to obtain a tax deed. The bankruptcy court refused and appellate proceedings ensued. Specifically, the Court held that for debtor that filed a Chapter 13 bankruptcy before the expiration of the redemption period that the tax lien was a (1) non-recourse secured claim against the real estate owner’s property; and (2) the claim was modifiable in a Chapter 13 bankruptcy; and, (3) the automatic stay applies to prohibit the tax lien purchaser from attempting to procure a tax deed during the plan; and (4) the tax lien purchaser’s ability to obtain a tax deed is extinguished by the successful completion of the Chapter 13 plan and discharge. Given the difficulties that Indiana homeowners have in redemption due to the short redemption period and high interest, the Seventh Circuit’s holding is a blessing. Unfortunately, this stance will require that an experienced bankruptcy attorney will be required to make sure that proper parties are noticed and the bankruptcy plan has the appropriate language. However, Indiana homeowners with delinquent real estate taxes have gained breathing room to reorganize and save the real estate. Potentially, this means that an individual whose real estate taxes were sold at a tax sale has the one (1) year redemption period (minus one day) plus the five year Chapter 13 plan life to pay the delinquent property taxes. Since the tax lien purchaser’s secured claim is modifiable, the interest rate can modified to a market rate (usually Prime to Prime plus 3%), vs the statutory rates in effect at redemption. When I’m visiting with you by phone or in my Kokomo or Indianapolis bankruptcy law office, one thing I’ll want to find out is when your redemption period ends and call the county treasurer to ascertain the redemption amount. Once we have those facts, you will be surprised at how we can help you keep your home and other real estate in Chapter 13 Bankruptcy. It is that holiday season again. A number of potential debt traps exist that could lead to long-term credit card bills for payment of holiday things such as Thanksgiving dinners and Christmas presents and the travel to each that we must pay for. Black Friday has descended upon us; but the days that shoppers swarm the stores for deals and sales continues on. The holidays will come and go. During this festive season, it’s spend, spend, spend. Family and friends receive their gifts and are glowing with cheer, love and thankfulness. Somehow, we manage to scrape up the extra money–with just a little help from credit cards and overtime. Then January comes, and with the unwelcome credit card bill requesting payments for the Yuletide cheer. Unfortunately, the house payment, car payment and utility payment that are due do not have grace periods that extend to your tax refund. The money has been spent on the gifts in your child’s room. Soon, you are having heated phone conversations with creditors and utility companies. The easiest way to avoid post holiday pain is to prepare. Below are a few tips on how your can avoid the holiday debt trap. Set up the amount you are going to spend on the holidays in advance. Divide that number by 11 and set that amount back every month as your “holiday fund”. By Christmas time you have easily saved the amount needed for a stress fee holiday season. Keep your holiday shopping to a minimal. Make a short list of the people you’re going to purchase gifts for and stick to it. Got a long list of friends and relatives? Still make a short list and send everyone else an inexpensive holiday card. Remember, the debt you take on could become your first steps towards new financial troubles, so be careful. Use cash and avoid credit cards when making purchases. While credit card use may be “easy” and convenient when you’re holiday shopping, it can also be very expensive in the long-term. First of all, using a credit card will make you purchase more than you would if you were using cash. Second, it’s not likely that you will pay it all off before accruing interest. So avoid any credit card mess by leaving the plastic at home. Consider layaway plans. Layaway allows consumers to purchase items without paying for it first and still avoid debt. How it works? The consumer places their purchases in storage at the store while making payments on the purchases over time free of interest. Some stores do charge a small fee, which is nominal compared to the interest the post-bankruptcy debtor could rack up if they use a credit card for their holiday shopping. The last resort should be credit cards. They are for you to borrow money short term you don’t have and usually carry with it a ridiculous APR. (Annual Percentage Rate. If you must use the credit option, use a low interest rate card and try to pay the balance in full at the end of the month so you are only paying back the exact amount you borrowed! Always know how you are going to repay the credit card in full in less than 2 months. Remember for Short Term Use only. Of course, borrowers who do take on new holiday debt may be able to discharge that debt in Chapter 7 bankruptcy if they are unable to repay it. That being said, I hope you enjoy your holidays. Don’t let the stress of finances bog you down! Times are hard.